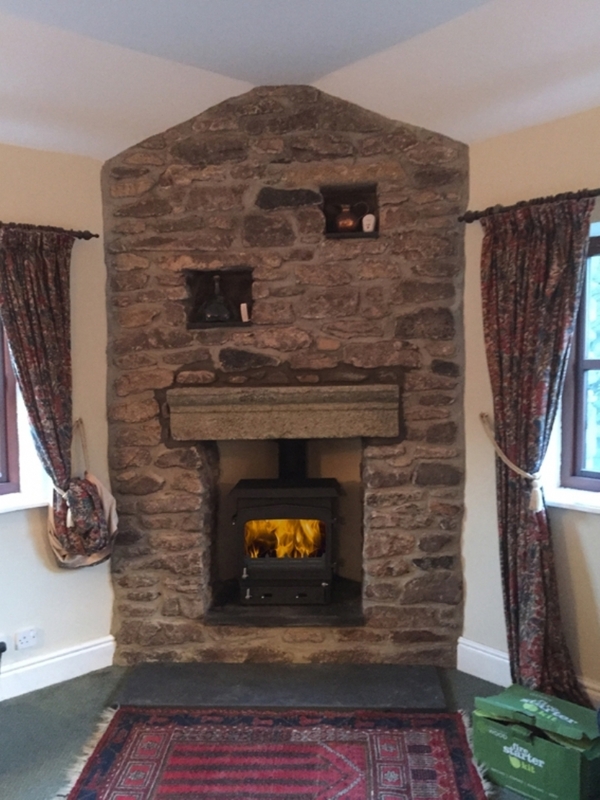 Woodwarm stove in a traditional stone fireplace wood burning stove installation from Kernow Fires. 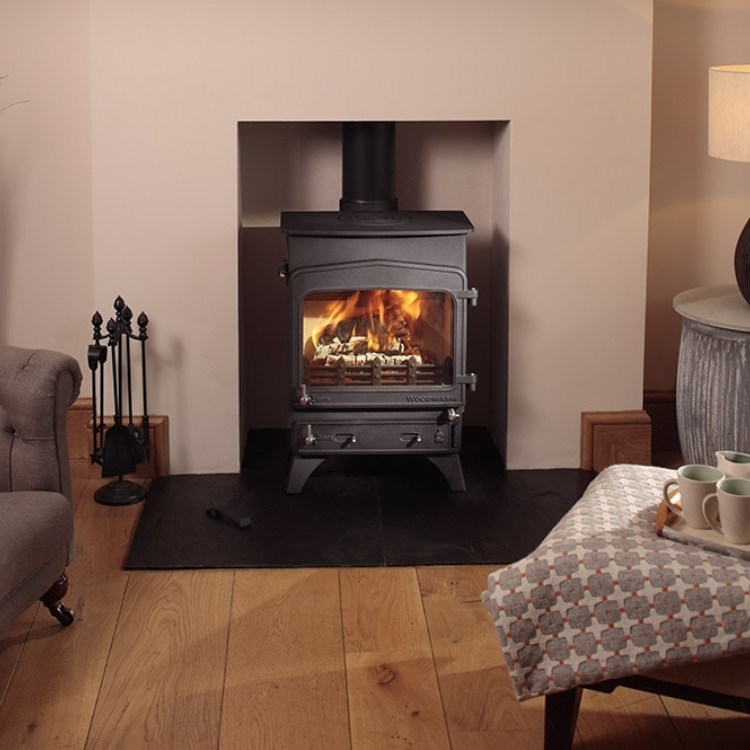 Customer Aspirations: A traditional multi fuel stove to complement this traditional fireplace. Customer Requirements: Large window so they can see as much of the fire as possible. 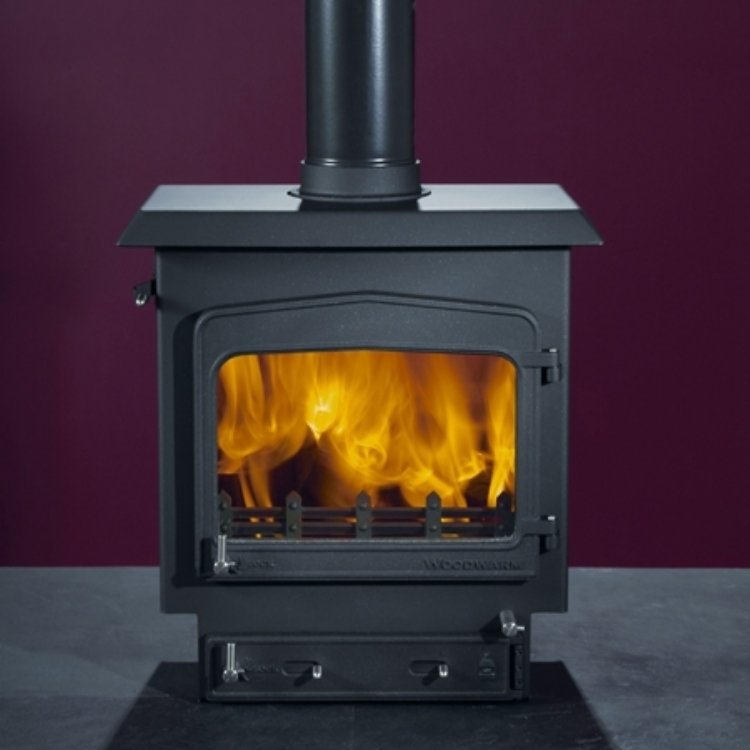 The Woodwarm Fireview is a British made multi fuel stove which is traditional in appearance and suits this fireplace perfectly. The large glass door gives a panoramic view of the fire.